The concept of liposuction is surprisingly simple. Liposuction is a surgical technique that improves the body’s contour by removing excess fat from deposits located between the skin and muscle. Liposuction involves the use of a small stainless steel tube, called a cannula (from the Latin word for reed, tube, cane). The cannula is connected to a powerful suction pump and inserted into the fat through small incisions in the skin. Fat removal is accomplished as the suction cannula creates tiny tunnels through the fatty layers. After surgery, these tiny tunnels collapse and thus result in an improved body contour. It is a way to remove the fat localized to one area. It cannot take the place of exercise and diet but is meant for shaping the body figure. Liposuction is also used to treat men with gynecomastia by reducing their breast size. Fat tumors can also be removed by liposuction but mostly it is used for the purpose of body shaping. We must thank the new world of medicine, especially the world of cosmetic surgery. But this weight removal is not permanent. The part from where the fat has been removed can regain the fat if a proper diet plan is not made. One has to control his/her diet in order to maintain his/her shape. It is a popular myth that after liposuction, any additional accumulation of fat will be redistributed to all the parts of the body, so get this myth out of the way. 3. Neck, cheeks and chin. 1. When a person has relatively a normal weight. 2. When a person has a firm and elastic skin. Point to be noted is that liposuction may not be suitable to those with uncontrolled BP (Blood Pressure), Heart disease, Lung disease, Diabetes, Obesity (weight being than 130% of the total body weight) and other severe ailments. During Liposuction, a vacuum-suction canula (an instrument like a hollow pen) is used to remove fat from under the skin of the target area/part of the body. For liposuction, instead of canula, an ultrasonic probe can also be used which emulsifies the fat i.e. breaks the fat into small pieces and then removes the fat fragments with suction. 2. Ultrasound Assisted Liposuction (UAL) or Ultrasonic Liposuction. Tumescent Liposuction makes use of saline fluid (in large quantity) which separates the fatty tissues from muscles and thus makes fat removal easy. UAL makes use of Ultrasonic energy to separate the fatty tissues from muscles. Liposuction is a type of UAL only but in addition, it uses a specialized canula and grooved probes. In Power Assisted Liposuction, a vibrating canula is used for easier removal of fat. Although it is generally a safe surgery but like all others surgeries, it too has some risks. It can cause heavy bleeding but this problem does not occur with UAL. Person may not react properly to anesthesia. Swelling may continue for long. It can cause hyper pigmentation i.e. it can cause brown colored spots on the skin. 1. It can cause infection and blood clots. 2. It can cause nerve damage for ever. 3. It can cause necrosis (death of skin tissue).This risk is more in smokers and diabetic patients. 4. It even can cause death but it is very rare. 1. We should approach an experienced plastic surgeon for liposuction. Only an experienced surgeon knows the level up to which fat can be removed without any serious implications. 2. One must follow the instructions given by the surgeon at every step. 3. One must be sufficiently healthy to be able for liposuction. One should tell surgeon about his/her health history and the medicines he/she takes. 4. There is a risk of blood clots in legs for women taking birth control pills. So women must stop taking birth control pills. 5. Person should not smoke before and after the surgery. Liposuction deals with the removal of fat from certain areas of the body. While fat is good for the body because it insulates the body, too much fat can hamper fluid body movement and increases the bodys exposure to disease such as heart attack and stroke. When excess fat is removed from your body, it improves the overall health and makes you feel good about yourself. The success of a liposuction surgery does not lie alone on the skills and techniques of a plastic surgeon. There are also several things that you can do to help make a liposuction procedure easier for your surgeon. Prior to a liposuction surgery, you need to steer clear of anti inflammatory and anticoagulant drugs to avoid any complications. The back of a female comprises of several areas that are prone to the unhealthy accumulation of fat. The infra scapular fat on the back of a female is also called the female flank and refers to the fat that is found just above the waist and below the shoulder blades. If you have fat jutting out from your back each time you wear a bra, your female flank is a tad too fat and can be taken care of through liposuction. Swelling is one of the features commonly seen in patients who undergo liposuction. If your experience swelling in any part of the body where liposuction is carried out, do not panic because it is normal. Such swelling only lasts for a short time. Generally, swelling subsides between two weeks and two months. There are different forms of liposuction. Each of them has a degree of efficiency and safety. The method often adopted depends solely on the surgeon. The form that proves more effective is often used. If a liposuction patients changes eating habit there is hope of an appreciable life span. People with excessive weight have been discovered to have different health complications. These complications sometimes limit lifespan. There is no pleasure without pain. Liposuction surgery eventually gives you the body you may have dreamed of all your life but you have to remember that the healing process can be quite painful. Before you embark on a liposuction procedure ask yourself how much am I willing to go through to get the body of my dreams. Lipodissolve is a procedure that will be hazardous to people who have active cancer or AIDS. If you are pregnant, a lipodissolve will do you more harm than good. 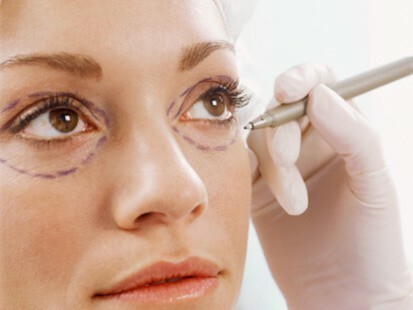 Always make sure that a particular cosmetic option it right for you before you settle on it.